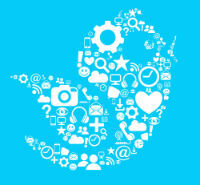 Since its inception in 2006, Twitter has grown into one of the most widely used social media platforms on the planet. And with more than 288 million users posting in excess of 500 million messages every day, that growth shows no signs of slowing. That’s why it’s no surprise that businesses around the world have flocked to Twitter to reach new consumers while also staying top-of-mind with their existing advocates. If you own or operate a small business, figuring out how to get the most out of Twitter can take some time. Fortunately, Twitter social analytics are easy to access and can help you determine how productive your tweets are. Here’s a closer look at how to get Twitter analytics and what they mean for your business. Twitter analytics are useful sets of statistics that provide insight into your following and the effectiveness of your efforts. This data is gathered into an activity dashboard that includes, among other things, information about how many times you’ve tweeted, how many people have seen those tweets, and the number of times your brand is mentioned on the social network. Another incredibly useful item among the analytics are details about which of your Twitter followers have the highest number of followers themselves, helping you easily identify individuals with the greatest reach and social influence. By harnessing the power of Twitter analytics, you can discover how many impressions your tweets receive, which posts garner the greatest response, and how your activity changes over time. Plus, if you run an e-commerce business that buys ads on Twitter, the analytics will allow you to measure your ads’ effectiveness by tracking customer conversions. The activity dashboard also offers a glimpse at real-time statistics so you can stay up-to-the-minute with your most recent posts’ performance. Additionally, you can fine-tune your focus to strictly get stats on a single tweet, including the number of clicks, favorites, retweets, and replies it received, with details about how the tweet impacted your overall following. Lastly, after you’ve learned how to get analytics on Twitter, you can monitor the metrics of your competition’s activity, helping you gain greater insight into what’s working well for others in your industry. Social media pages are not enough! Learn how to build a business website and create an online presence you can completely control. Though many third-party providers have utilized Twitter’s application programming interface (API) to compile their own analytics for the social network, Twitter itself offers a rather robust set of statistics that will likely meet your needs. Twitter analytics are free to view, though your account must be at least two weeks old and in good standing to access the service. It’s also important to note that you will only be able to view analytics for tweets that are posted after you first activate the analytics. Additionally, the analytics will only take into account a maximum of 3,200 tweets, dating back no further than October 2013. To get started, visit http://analytics.twitter.com and log in with your username and password. If you’re on a desktop computer, click “Tweets.” If you’re on a mobile device, simply tap on one of your tweets, then select “View Tweet Activity” to see the nitty-gritty about its performance. Now that you’ve learned how to access Twitter analytics, head over to your activity dashboard to find out which tweets are working—and which aren’t. By gaining a clearer understanding of which posts entice your followers to engage with your brand, you’ll be in a better position to leverage these insights and shape your strategy moving forward. Improve your Twitter game, and you’ll be in a better position to propel your business’s growth. If your social following is strong, but your website is weak, learn how to build a business website that will knock your followers socks off.